Experience historic Ketchikan and the surrounding islands from the unique perspective of a sea kayak. Our journey begins at our dock in the heart of Ketchikan where we get outfitted for sea kayaking and friendly guides give a lesson in kayaking basics. When the tide allows we kayak right into the historic Creek Street district where the houses on stilts have changed little since the roaring twenties. We paddle through Thomas Basin, the town’s first boat harbor, and out into the Tongass Narrows where we catch a glimpse of life in an Alaskan fishing town. Float planes fly overhead and fishing boats head out to sea. Once across, the island exploration begins! 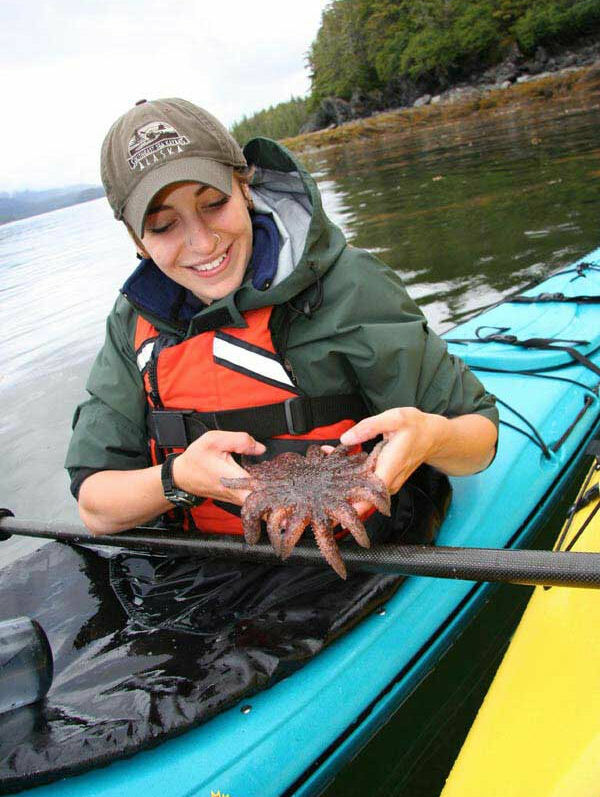 Guides lead paddlers along the shores of Pennock and Gravina Islands where we seek out colorful inter-tidal life and watch for the majestic bald eagles that nest in the old growth trees. Return to the dock rejuvenated and with enough time to explore the town of Ketchikan on foot. No experience is necessary for this kayaking adventure. Please dress in warm layers. Wear sneakers rather than hiking boots which are too bulky for the kayaks. Minimum age to participate is six years old. We have triple kayaks that can cater to our younger paddlers. We use only lightweight fiberglass kayaks, not plastic, for your comfort and enjoyment.